The coin design incorporates 14 translations for ‘coin’ from some of the many Indigenous languages in Australia; the design was developed in consultation with 14 Indigenous language groups from around Australia, including the traditional people of Adelaide, the Kaurna people. “These coins are a celebration of Australia’s unique and diverse Indigenous languages, we hope the coins will serve as a tangible reminder of the important efforts being undertaken to preserve, protect and revitalize Indigenous languages in Australia” the Mint CEO, Ross MacDiarmid, said. The coins were unveiled by AIATSIS CEO and Co-Chair of the UNESCO International Year of Indigenous Languages Steering Committee, Craig Ritchie; Director of Aboriginal and Torres Strait Islander Research at the University of Sydney, Professor Jaky Troy; Kaurna man, Jack Buckskin; and Royal Australian Mint CEO, Ross MacDiarmid. Languages are central to the identity of Indigenous Australians and the second National Indigenous Languages Survey conducted in 2014 by AIATSIS recognized that remaining connected to Language strengthens well-being and self-esteem in Indigenous communities. “Indigenous languages carry more meaning than the words themselves, so too does currency carry meaning beyond its monetary value. The release of these coins is another milestone in recognizing the diverse cultures that shape our national story of over 60,000 years,” the AIATSIS CEO and Co-Chair of the UNESCO International Year of Indigenous Languages Steering Committee, Craig Ritchie said. 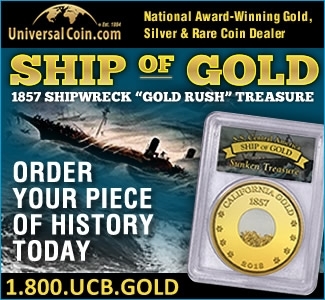 The coin has been entering circulation since April 8. For those looking to keep the coin, a frosted uncirculated version is available for $10.00 AUD and a fine silver proof version is available for $80.00 from the Mint’s website or Contact Centre (1300 652 020). For further details about the new coins and coin swaps, please visit: www.ramint.gov.au. 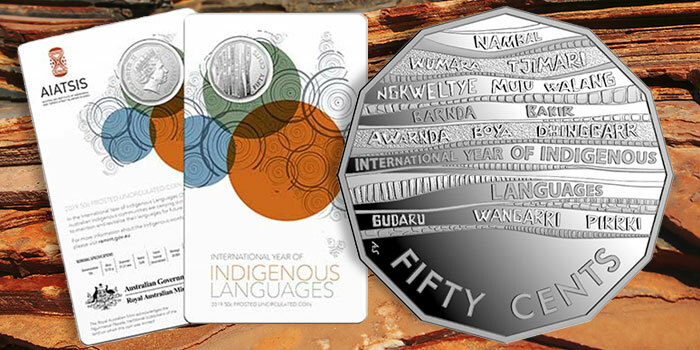 For further details about the languages featured on the coins, please visit: www.ramint.gov.au/2019-50c-international-year-indigenous-languages.